We check over 450 stores daily and we last saw this product for $176 at Zappos. 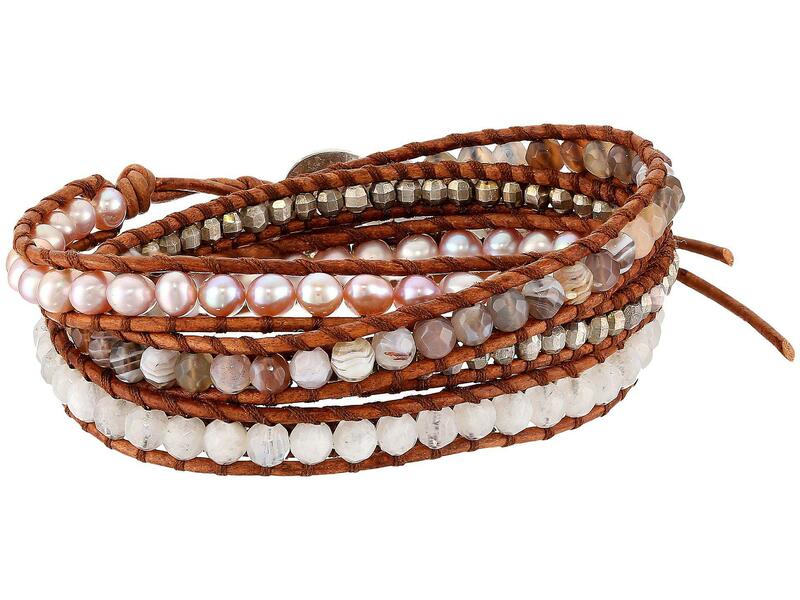 Embellish your festival look with this amazing Chan Luu® Sterling Silver 5 Wrap Bracelet on Leather with Nuggets, Semi Precious Stones, and Fresh Water Pearls. 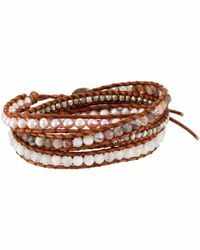 Leather wrap bracelet with nugget, stone, and pearl detail. Signature logo engraved detail on button. Gold-tone finish. Measurements: Width: 3⁄10 in. Diameter/Length: 2 4⁄5 in. Weight: 1 oz.